LAMP (Linux + Apache + MySQL + PHP) is an open source technology used to develop most robust and scalable dynamic web sites and web applications across different industry verticals . LAMP is an open source Web development platform that uses Linux as the operating system, Apache as the Web server, MySQL as the relational database management system and PHP as the object-oriented scripting language. (Sometimes Perl or Python is used instead of PHP.) The LAMP components are largely interchangeable and not limited to the original selection. Any apps or websites built with this technology will shrink or grow with the demands being placed on it. Work on a variety of operating systems (OS), including Windows, Linux, Android, and iOS. Can be developed quickly, thanks to the ready availability of open source libraries and frameworks that reduce coding times (and costs). With PHP certified developers and professionals on board, our PHP team is competent at crafting compelling applications with maintainable and secured code. Huge code library is accumulated in the last 14 years ready in house to save time and cost in development. Our PHP team is built up with 40+ engineers, including senior developers with the experience of 10-15 years. With over 250+ PHP projects delivered successfully in several domains: healthcare, e-commerce, logistic, banking, etc... we are ready to assist you. 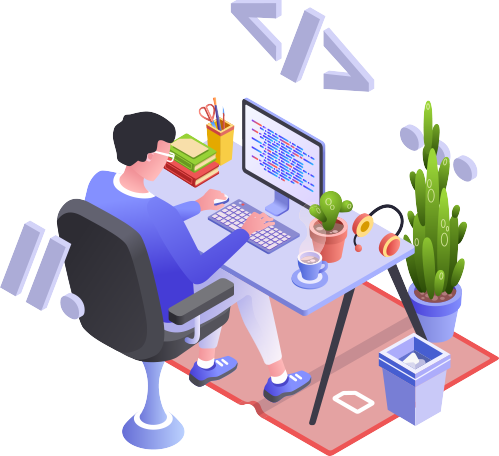 Our dedicated PHP developers use highly professional approach and strictly follow coding guidelines and standards to deliver quality projects on time. With all Lamp projects supervised by certified scrum masters, we ensure the readiness of your project to quickly embrace change entailed by new market demands. Have been working with several types of project from starting new one or upgrading or maintaining current system, QSoft provides flexible engagement models and could collaborate with a customized model focusing on your specific business requirements.